These portable All-in-Ones are basically big tablets since they pack batteries inside of them. Two new models are being released, one from Dell and another from Asus. 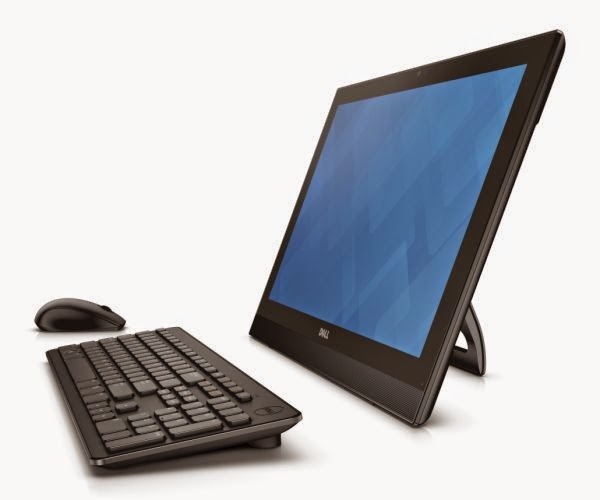 Dell Inspiron 20 3000 Series All-in-One (AIO) PC: Attractive Feature Set, Small Footprint The new Inspiron 20 3000 Series AIO is the latest entry-level AIO from Dell that packs an attractive feature set and premium speakers into a radically thin and light design. With a 19.5-inch HD display, and with up to Intel Pentium quad-core processors, this AIO is light enough to easily move around the house as needed, allowing families to choose how they view their content and where. If families want to use it primarily as a family PC in the den, but occasionally move it to a child’s room for quiet concentration when doing homework, it’s easy to do so. The AIO has an adjustable A-frame stand for multiple viewing options, and a comfortable, intuitive experience no matter where or how you place it. With Waves MAXXAudio and an integrated sub-woofer, great sound for enjoyable media consumption doesn’t have to come at a high price.